THE government is looking to buy private land to provide habitat for koalas. The NSW Government's latest move to preserve the koala is a $20 million private land purchase program designed to secure more protected habitat. "Essentially, if you own good quality, occupied koala habitat that meets the criteria, the NSW Government is a willing buyer," Environment Minister Gabrielle Upton said. "This initiative is part of the NSW Government's $44.7m commitment towards securing the future of koalas in the wild, which is the biggest commitment by any State Government to koala protection. "The koala is synonymous with Australia and the NSW Government is committed to ensuring its secure future. More than 24,000 hectares of unproductive state forest is being set aside for koalas, but we also want to expand this by buying up suitable land across the state. "Purchasing suitable land will increase the number of koala habitat corridors and linkages across the landscape. "We are initially seeking expressions of interest from private landholders in Port Macquarie, the Southern Highlands, Port Stephens and the Far Northeast region. 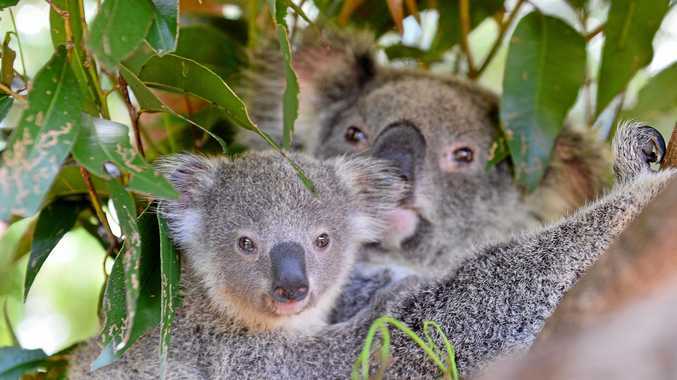 "While these four areas are of particular focus, the Government will also assess expressions of interest from other areas where there is good quality occupied koala habitat," Minister Upton said. "This unique initiative gives landholders who have koala habitat on their properties the option to sell all or part of their land so that it can be managed and conserved by the National Parks and Wildlife Service." the property must also be suitable for inclusion in the national parks estate. "The NSW Government is determined to increase the amount of land where koalas can safely live and be protected from predators. "I have a personal plea - if you own koala land, please consider adding it to the state's koala reserves," Ms Upton said. Full details on criteria and locations can be found online.